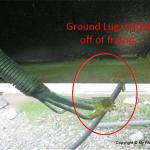 RV Inspection is a simple concept. You wouldn’t buy a car without having a multi-point inspection. You wouldn’t buy a house without having it inspected either. So why would you buy an RV without it being inspected, too? The price of RV’s these days can exceed the price of a house! Believe me when I say that an RV is a lot more complicated than a car and has on-board systems that are not found in a house. Did you know that RVs’ have three separate electrical systems. Besides that, when you are moving along at highway speeds, things move and bounce around and could fail; think sustained earthquake combined with a hurricane, and you get the idea. So you finally find an RV that you just love. Congratulations! While you are focused on all the time you will be enjoying in your new rig, make sure you hire an independent, unbiased and un-financially vested RV inspector to test out every system to make sure it functions as it should. Get this done before you sign for it! How many stories have you heard of folks making an unpleasant, and often times very expensive, discovery after they get their new baby home or out to the campground? There are components and systems on-board RVs that require routine maintenance. Roof sealants age and crack, water heaters require annual flushing and service, batteries suffer from being over or under charged, tires, that look brand new, may be old and past their usable service date and safety equipment, like propane detectors, smoke alarms and carbon monoxide detectors, may have also exceeded their service dates. If you hire me to perform an independent pre-purchase inspection on the RV you are considering buying, these are just a few of the things I will check. Your dream rig may look good from the outside, but so many things can be happening on the inside that you may not be aware of. Think about what the inside of the water heater tank is like – will it heat water efficiently? Will the batteries hold a charge and operate your slide room motors after being off charge for a day – even if they are a few months old? Have the sides of the rig started to delaminate? Does the A/C cool as it should? What about the A/C’s temperature differential between supply and return air? Will the refrigerator maintain 40°? These, and a whole lot more, are the questions I ask the RV to find out its true condition. In the end, I will provide you with many printed pages and pictures of my findings, both the good and the bad. Before you get me involved in the inspection process, I would like for you to do your own due diligence. I will provide you with a check-list that will direct you on what state to get the rig in before I arrive. The refrigerator, for example, will need to be run for about 6-8 hours before I can properly test it and the fresh water tank will need to be filled so I can test all the water systems. The rig will also need propane filled. If the rig has a generator we will need to ensure there is enough fuel to run it for more than 5 minutes under load. Once I arrive on the scene, I will employ many tools including data loggers, pressure sensors, temp loggers, a long bendy inspection camera thing and the ever popular #2 square driver bit to examine and interrogate the RV. Most inspection will take 4-6 hours!!! Once you have your printed inspection in hand, it can serve you in the following ways: 1) it can put you in a state of relaxed comfort knowing that all the systems are in working order and you are getting a great deal. 2) If everything is not how it was advertised to be, you can choose to negotiate for a better price that best reflects an accurate condition of the rig under consideration. 3) It may be used to bring to the attention of the seller some things that need to be repaired or replaced prior to the sale. 4) Or, perhaps, it lets you know that you need to walk away from the deal. Whatever your choice, I would recommend you be clear of what you expect and get it in writing. RV forums are full of posts from people that thought they were getting a great deal, only to discover, after the clean smell had worn off and the detail products had lost their shine, that their rig’s beauty was only skin deep. Search the forum posts and then contact an RVIA/RVDA Certified RV Service Technician, or an inspector associated with the NRVIA, with an honest reputation to perform an un-bias inspection; that is the only way to close the deal with confidence that all parties are getting what they agreed upon. For engines, transmissions and chassis, you should contact a certified mechanic that is qualified and equipped to inspect those systems. I will not drive or tow your coach during my inspection. I can draw a sample of the engine, transmission and/or radiator fluids and have them sent to a lab for analysis, which I would highly recommend, but my craft is that of an RV Technician and not a mechanic – there is a big difference between these two disciplines! I do not pretend to know everything a mechanic knows and even if did, as a mobile RV Tech, I do not travel with the tools or equipment to inspect or service engine, transmission or chassis systems. As a personal note, when I bought my first RV in 2007, I performed an inspection myself and filled out two legal pages of issues I found wrong with the RV. Back then I was an automation systems engineer and not an RV tech so the list was not that detailed or involved – I certainly did not have the tools I have today to go very deep in the different systems and honestly I had no idea how to test a refrigerator, A/C, furnace, water heater or any of the other systems on the rig. The dealership set the selling price that aligned with the resell price out of their book. Fair enough. I then slid my two pages across the desk and said that that is a fair price if these things were all in working order, referencing to the pages. After some back and forth negotiation, and a visit from the sales manager, I got a few of the things fixed, including a brand new toilet, and they knocked $12,000 off the asking price as long as I took my two pages with me and didn’t bother them with my long list of repairs! Was my inspection worth the time and effort? You Betcha! That RV has been my home since 2007 and the repairs only cost a hundred or so! I want you to have this same experience that I did because it felt so great. Can you beat my $12K dealership price reduction??? Call me when you find your dream RV and let’s find out!